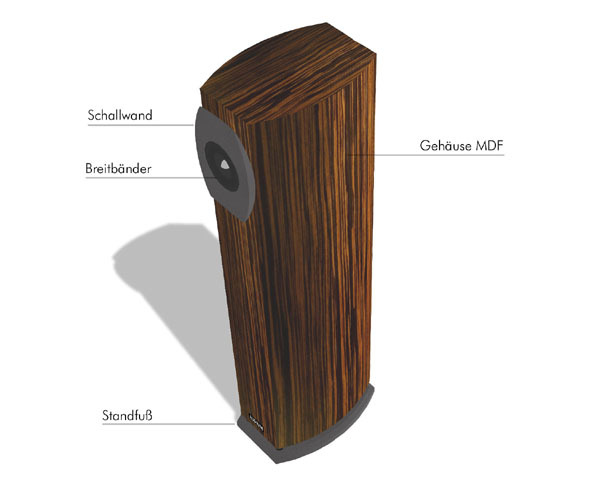 What's the result of rethinking classical approaches to HiFi-Loudspeaker design? Please believe us, we were surprised as well where the voyage took us! The approaches were radical, the realisation consequent. And the result - please allow us - makes us a bit proud. For sure, it was a long way. Here we show you which ideas have been realised on our way to a natural audible event. Step by step, each one as a part of an integral unified concept. The AUDIUM Technology. Are you curious like us? This figure is just symbolic. It can differ from reality. and cabling in the speaker.